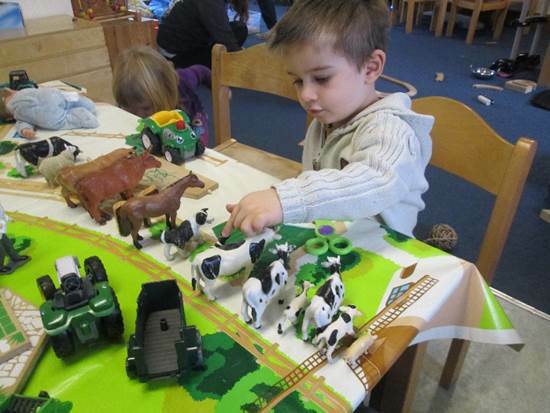 Presmere Day Nursery provides a happy, caring and secure environment for the children in our care to grow and develop whilst learning at the same time. We believe that children learn primarily through play, developing their social skills. We provide a wide variety of activities designed to encourage the children as they learn. A child’s early years are some of the most important ones in their development. We believe that it is vitally important that the children are happy and recognised as individuals which will, in turn, lead to them becoming willing learners. If we can send the children who come to us off as happy, confident individuals, then we have played our part in their learning and development for the future. In September 2008, in line with the recommendations from the DFE, we introduced the Early Years Foundation Stage at Presmere Day Nursery. In September 2012, the department revised the Early Years Foundation Stage and we have introduced this as required. There are now three prime areas of learning and four specific areas. All the children still have a learning journey, which is a system of record keeping and follows every child’s development and progress from when they start with us, following them right through each stage to the end of their reception year at Primary School. The prime areas cover the knowledge and skills which are the foundation for children’s school readiness and future progress. These are applied and reinforced by the specific areas. The revised EYFS also has a requirement for us to review the children’s progress when they are aged between 2 and 3 years. This will be completed by the child’s key person and discussed with parents at all times. This is known as the child’s two year check. Every child at Presmere Day Nursery has a Learning Journey – their individual record of what they have done or are doing with us. Through the use of observations and photographs, we can see how they are progressing towards and achieving their early learning goals. We share this information regularly with parents, asking for them to contribute. These are always available in the nursery for parents to see. These Learning Journeys become a unique record of your child’s development and are something to keep and treasure. We work closely with all schools that the children go on to, passing on all the relevant information from the Learning Journeys as well as encouraging reception teachers to visit those children who are due to go to school to help a smooth transition, which is vital to a child’s happiness when starting something new.